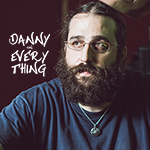 Danny Bedrosian takes his listeners on an emotional, intellectual and musical journey as he brings some of his most favorite people to the mic. It’s all about culture, discovery, music, and history, and life. Everything that Danny and his guests want to tackle in an hour’s time. The show airs periodically on Fridays at 5:30pm, Eastern and on Sundays at 1:00pm, Eastern.